The NME recently published their list of the best albums released during this decade according to them, with The Strokes Is This It topping the poll. As expected a lot of debate has ensued elsewhere, and people have been discussing their own choices, so for a bit of fun I thought I’d post my own Top 10 here on Sunshine Playroom. In time honored tradition I’ll do so in reverse order, so read on for the start of the countdown. Let us know if you agree with any of the choices here at Sunshine Playroom. What you are your favourites? Baguette! You might not expect a comedy album to make one of these lists, but hardly anyone knew what to expect from comedy duo Bret McKenzie and Jermaine Clement before they unleashed what was undoubtedly the tv hit of 2008. Starting life as a radio show before tv, Flight Of The Conchords tells the story of a fictional musical duo, and their hapless manager Murray. Their dysfunctional relationship forms the basis of the show, but each episode features a Conchords song based around the plot. Comedy songs have been done before (and will be again), but rarely do they stand up on their own. They not only stand up so well, collected here on cd they make an album that you want to listen to as a whole. They take different styles, depending on what they’re about, but quite often they’ll parody famous artists. You’ll hear the familiar styles of the Pet Shop Boys, Outkast, David Bowie and many others amongst the gems, but when you strip these away, you might be surprised to hear that Bret and Jermaine are actually very accomplished songwriters, and that’s this album’s main strength alongside the excellent humour on show. I think pretty much all of the songs featured in S1 can be found here, personal favourites being Robots, Business Time, Inner City Pressure, Bowie (about you know who) and Hiphopopotamus vs Rhymenocerous. An album that’s guaranteed to always make you laugh, which is a wonderful thing. When this album was first released, previous comebacks led me to believe that it’s appeal would slowly fade as time passed, but here we are, and 4:13 Dream still sounds like a wonderful return (to form). Preceeded by four singles (each released on the 13th of each consecutive month), what was originally planned as a double album was finally released by their label Geffen in late October after the band continually missed deadlines. 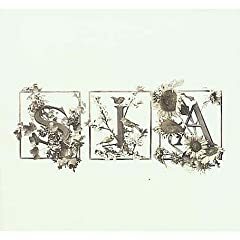 The album open with the dreamy Underneath The Stars, evoking some of the beautiful soundscapes of Disintegration, and is followed by the first (and most ‘poppy’) single The Only One. 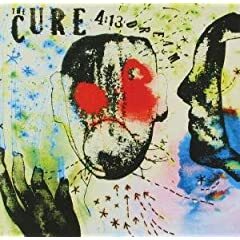 It continues with that unmistakeable Cure sound throughout, but never veers off towards the parody of themselves they became when they were an almost novelty singles act (albeit a very successful one). Other highlights here are Sirensong, The Hungry Ghost and This. Here And Now. With You. 4:13 Dream isn’t a perfect album, I won’t pretend that. The production falls down in some places, and can be a bit muddy and over-compressed at times, but the quality of the songs always manages to shine through, it’s Smith’s best collection for quite some time and you know that most of them will drop into their live sets very well in the future. 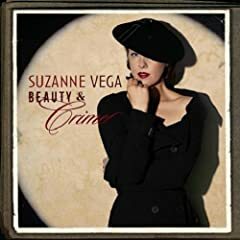 Many an album released on the legendary Blue Note label has graced critics choices over the decades, but I doubt many people would have imagined that Suzanne Vega would eventually join them. Her first studio album in six years, Beauty & Crime shows it class from the first track, and continues throughout her first album for the label. A warm, rich production delivers eleven beautifully crafted trademark Vega songs. She returns to familiar themes, love, spirituality (in the song Unbound), friends and family (Bound & As You Are Now), and of course tales about New York (New York Is A Woman), the city she grew up in. And showing that this is her first recorded work since 2001, she includes a couple of songs related to the 9/11 tragedy that befell the city (Angel’s Doorway & Anniversary). Even though some tracks like Zephyr & I and Frank & Ava have all the hallmarks of the catchy hit single, sadly it didn’t fare very well commercially, as befalls many of the best albums, although it did pick up a Grammy the following year for ‘Best Engineered Album, Non-Classical’. 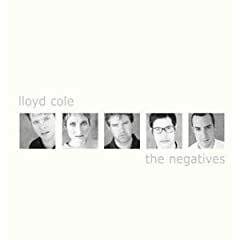 Having disbanded his previous band The Commotions more than a decade earlier, it was always going to be interesting when Lloyd Cole teamed up with a group of young New York musicians called The Negatives. The results were some of his best work for years. And from the first track, Past Imperfect, you soon know he’s on to a winner. A beautiful guitar sound accompanies instantly recognizable Cole lyrics, recalling events that happened to him in Amsterdam years ago (a subject he sang about in Lloyd Cole & The Commotions hit Lost Weekend). Cole sticks to the subjects he tells best, those of unrequited love, (failed) relationships and personal failings (cigarettes, alcohol and an obsession with Nick Drake). And he tells them well, all the way through, although the couple of tracks where he tries to rock out don’t work quite as well. The Negatives were made up of David Derby (bass), Michael Kotch (guitar), Rafa Maciejak (drums) and Jill Sobule (guitar), and they’re tight throughout. Previous collaborator Robert Quine joins proceedings on a couple of tracks, and stalwart Stephen Street takes on most of the producing duties. Inexplicably, they never followed the album up. It was a critical success, but Cole suffered from being out of favour at the time, and it was a long time before it even got a UK release, coming out first only in France. Australian born singer Sia Furler has had a busy decade, releasing three solo albums, as well as contributing vocal duties to three albums by Zero 7. Her vocals on Zero 7’s hit Destiny brought her to most people’s attention in 2001, and this was her first solo work after that. Colour The Small One is a strong piece of work, that matches Sia’s distinctive, soulful voice with an array of chilled, dreamlike songs. Probably the best of these is Breathe Me, which although never becoming a big hit single, has found a life of it’s own since being featured on many hit tv shows (the finale of Six Feet Under, for one). Other great tracks include Sunday, Rewrite, Don’t Bring Me Down and The Church Of What’s Happening Now. It’s an album I can always put on and drift off to another world with. Sia is a unique writer, with a unique voice, and this is an album of the highest quality. Check out her more recent album Some People Have Real Problems too if you like this. This entry was posted on Tuesday, November 24th, 2009 at 12:50 am	and is filed under Music, Reviews. You can follow any responses to this entry through the RSS 2.0 feed. You can leave a response, or trackback from your own site.